The United States has a never-ending supply of corn, and Mom and Dad thought it would be fun to stop and pose in front of it in Nebraska. I’ve actually watched “Children of the Corn” (Mom and Dad love scaries) , and the never-ending corns freak me out! I didn’t want to look at the camera in case a creepy, bloody child popped out of the corns. After a long drive through the corns in Nebraska, we finally made it to Sioux Falls on a magical, lovely, sunny day. The park allows leashed doggies and has plenty of places to throw out our poop. There is a massive 16-mile path that is perfect for hiking around the park with your pup. We walked forever, and I was loving it! There are plenty of spots to stop by the river and have a picnic lunch. They take soooooooooooo many pictures! We finally got to the falls and relaxed and rejuvenated ourselves after a long day of hiking. Sioux Falls is perfect for pups if you want to walk or hike along some really easy beginner paths. If you’re looking for moderate or aggressive hikes, you will not find them here. Once Dad took the greatest photo of me ever, we headed to the La Quinta Inn and Suites, Sioux Falls. This was a very clean location, had no breed or weight restrictions, and no pet fees! La Quinta is my favorite pet-friendly chain so far because they normally don’t have pet fees and they are a step up in bed quality from the Red Roof Inn. I woof cozy beds. We would pawsitively visit Sioux Falls again, and next time we will be avoiding the corns! Sioux Falls had great walking paths, beautiful places to sit and have a picnic lunch, and ample places to pee on trees. La Quinta is our favorite pet-friendly chain hotel because most locations have no pet fees, no breed or weight restrictions, and their beds are generally comfier than other dog-friendly hotel chains. Stay tuned for my next blog post, where I talk about dog-friendly destinations and fun in Rapid City, South Dakota. 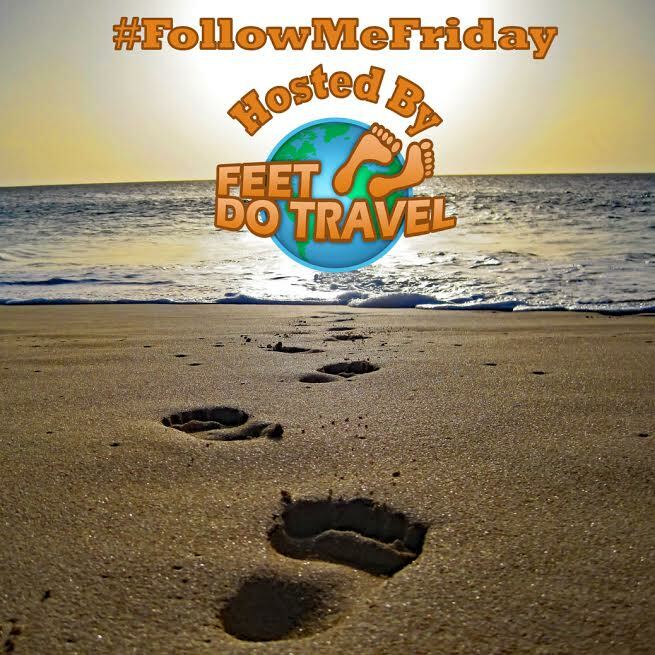 This blog is a member of the #feetdotravel community on Facebook; check us out to share travel stories, get travel advice, or read travel inspiration. Sometimes Mom and Dad spring for a king bed, and I sleep right between them. Sometimes I get my own bed 🙂 Thanks Grammy! Hey Sally! I hope she gets to join you on your travels if you decide to visit America. 🙂 Thanks Tracy! Based on my experience, I’m sure you would agree with me that the drive through Nebraska was very, very long. I’m sure you were very happy to get to Sioux Falls and check out some of the hiking trails and scenery. It looks like you had a great visit here! Yes, it was too long! Unfortunately Nebraska is a very breed-restricted state so we made it a quick drive. South Dakota is amazing. I am sure you enjoyed it very much. I know my small doggy loves a good easy hike and a comfortable bed where she can roll after a day in nature! You look like you’ve really enjoyed your hike and mum and dad are great photographers too! Sioux Falls looks like a great place to explore! Sioux Falls is a beautiful, unique place you should absolutely check out in the US. South Dakota is pretty wild. Thanks Alexie! What a great place for hiking this seems to be! I just love it! Good to know that doggies are allowed to come with and that Scarlett had a great time! I am not sure about the bloody children coming out of the corn fields though haha! This cracked me up! 16-mile hike?! wow! Looks awesome. Sioux Falls looks like a perfect place for furry companions. The greatest picture of you is really amazing Scarlett. I loved all the places you visited. The Sioux fall is mesmerizing. I love to spend time with nature and this is one such place.From the happiness on your face I am sure you had a wonderful time!